Twisted Fusion is a Wii U-exclusive action-adventure from Leuvsion, a studio known previously for games on mobile devices and tablets. 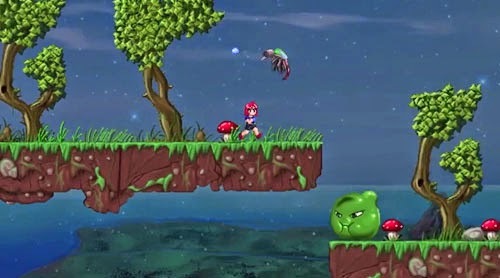 The game centers on a redheaded girl named Cora who is armed with a water pistol, and she can eventually pick up some limited-use special weapons such as water balloons and garden sprinklers. Fortunately, her enemies’ greatest weakness is water, so she is able to blast her foes into oblivion with the power of dihydrogen monoxide. The game also features a day/night cycle and a weather system, featuring stronger enemies in the evening (what a horrible night, etc. ), and enemies that are more aggressive when it’s raining… which seems a bit odd considering the fact that water kills them. Twisted Fusion is now available for Wii U via the eShop.